From rising culinary star Danny Bowien, chef and cofounder of the tremendously popular Mission Chinese Food restaurants, comes an exuberant cookbook that tells the story of an unconventional idea born in San Francisco that spread cross-country, propelled by wildly inventive recipes that have changed what it means to cook Chinese food in America ?Mission Chinese Food is not exactly a Chinese restaurant. It began its life as a pop-up: a restaurant nested within a divey Americanized Chinese joint in San Francisco’s Mission District. From the beginning, a spirit of resourcefulness and radical inventiveness has infused each and every dish at Mission Chinese Food. Now, hungry diners line up outside both the San Francisco and New York City locations, waiting hours for platters of Sizzling Cumin Lamb, Thrice-Cooked Bacon, Fiery Kung Pao Pastrami, and pungent Salt-Cod Fried Rice. The force behind the phenomenon, chef Danny Bowien is, at only thirty-three, the fastest-rising young chef in the United States. Born in Korea and adopted by parents in Oklahoma, he has a broad spectrum of influences. He’s a veteran of fine-dining kitchens, sushi bars, an international pesto competition, and a grocery-store burger stand. In 2013 Food & Wine named him one of the country’s Best New Chefs and the James Beard Foundation awarded him its illustrious Rising Star Chef Award. In 2011 Bon Appétit named Mission Chinese Food the second-best new restaurant in America, and in 2012 the New York Times hailed the Lower East Side outpost as the Best New Restaurant in New York City. The Mission Chinese Food Cookbook tracks the fascinating, meteoric rise of the restaurant and its chef. Each chapter in the story—from the restaurant’s early days, to an ill-fated trip to China, to the opening of the first Mission Chinese in New York—unfolds as a conversation between Danny and his collaborators, and is accompanied by detailed recipes for the addictive dishes that have earned the restaurant global praise. Mission Chinese’s legions of fans as well as home cooks of all levels will rethink what it means to cook Chinese food, while getting a look into the background and insights of one of the most creative young chefs today. 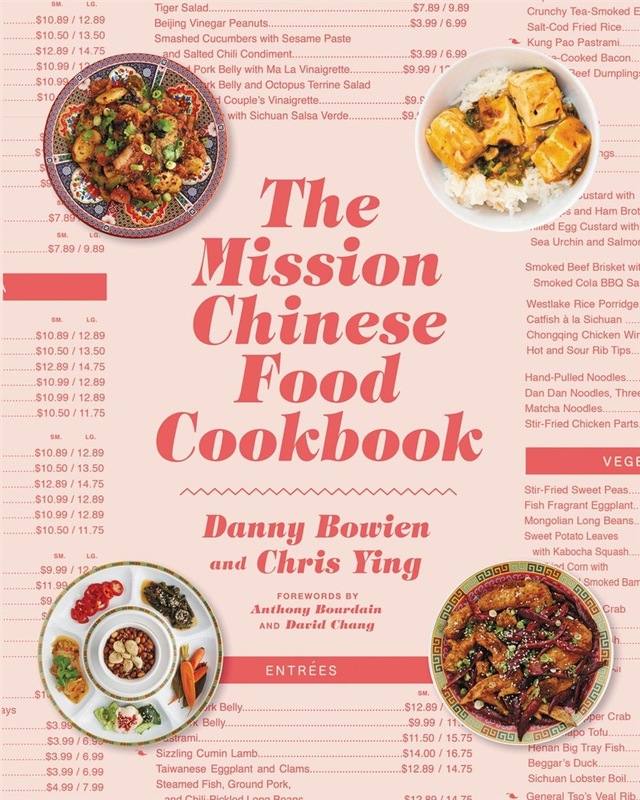 Acquista The Mission Chinese Food Cookbook in Epub: dopo aver letto l’ebook The Mission Chinese Food Cookbook di Chris Ying, Danny Bowien ti invitiamo a lasciarci una Recensione qui sotto: sarà utile agli utenti che non abbiano ancora letto questo libro e che vogliano avere delle opinioni altrui. L’opinione su di un libro è molto soggettiva e per questo leggere eventuali recensioni negative non ci dovrà frenare dall’acquisto, anzi dovrà spingerci ad acquistare il libro in fretta per poter dire la nostra ed eventualmente smentire quanto commentato da altri, contribuendo ad arricchire più possibile i commenti e dare sempre più spunti di confronto al pubblico online.